Apple’s new Waukee-based data center will help serve millions of people across North America who use Siri, iMessage, Apple Music and other Apple services. The company announced in January that it is on track to create 20,000 jobs in 16 states in the U.S. by 2023. 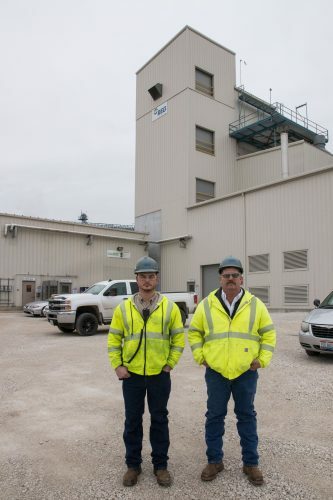 The company’s expansion in Iowa was due nearly entirely because of the availability of wind-generated power. Iowa remains one of the top contenders in the nation in terms of wind energy production, according to John Boorman, vice president of the Iowa Wind Energy Association. “We are number three, behind Texas and Oklahoma,” said Boorman. Boorman said Iowa supplies the power grid with 7,000 megawatts of power, with the help of 4,000 wind turbines throughout the state. 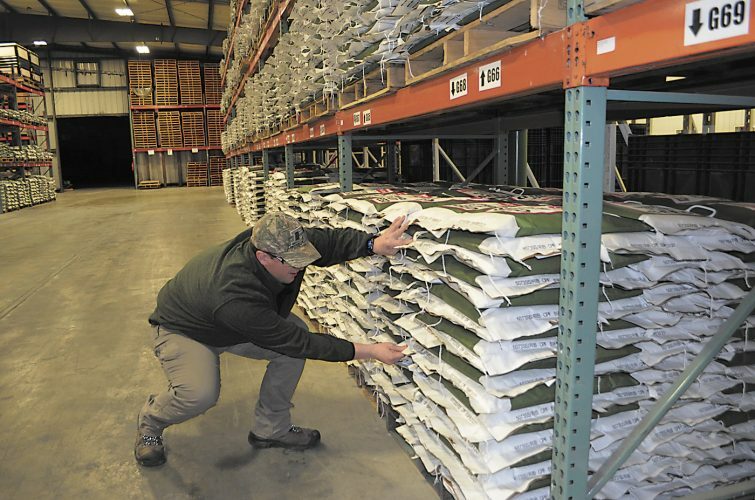 “Much of that power remains in the state, but once it’s on the grid, it goes wherever it’s needed,” said Boorman. Information from IWEA said in more than 20 years, global wind electricity generating capacity has increased 88-fold from 6,100 megawatts in 1996 to 539,123 megawatts in 2017. 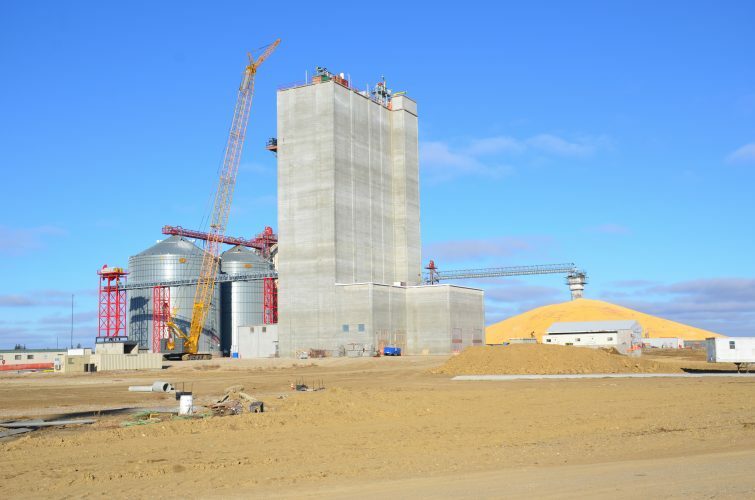 It said production is focused in 10 countries that are responsible for more than 80 percent of all production and a small number of U.S. states, including Iowa. Boorman said four well-known giant companies have located data centers in Iowa due, in part, to the wind energy movement. They include Facebook, located in Altoona; Microsoft, located in West Des Moines, and Google, who located one in Council Bluffs. 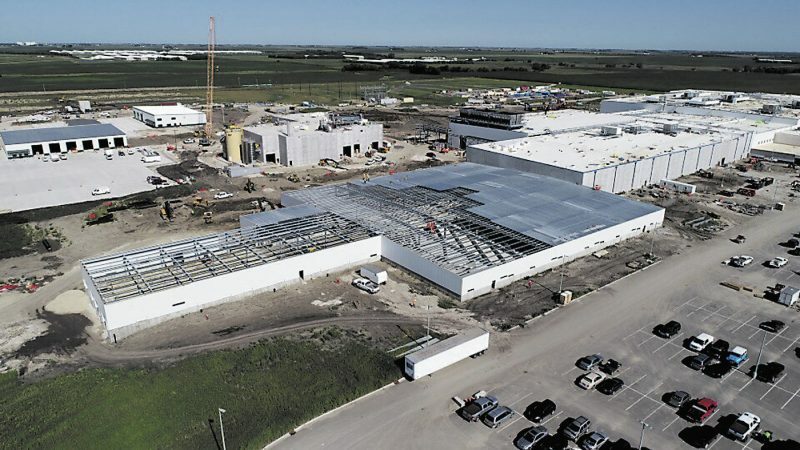 This year Apple announced plans to build a 400,000-square-foot, state-of-the-art data center in Waukee, to better serve North American users of iMessage, Siri, the App Store and other Apple services. Like all Apple data centers, the new facility will run entirely on renewable energy from day one. “Without energy from Iowa’s wind turbines, Tim Cook, CEO of Apple, said his company wouldn’t have chosen Iowa as the site for two new data centers,” said information from the IWEA. The City of Waukee has a substation permit from MidAmerican Energy associated with this project. Construction of the Waukee center is underway and is expected to be completed sometime in 2020. Apple’s investment of $1.3 billion will create more than 550 construction and operations jobs in the Des Moines area, and the company is contributing up to $100 million to a newly created Public Improvement Fund, dedicated to community development and infrastructure around Waukee. Apple will work with local partners to invest in renewable energy projects from wind and other sources to power the data center. Apple has pledged to power all of its global operations with 100 percent renewable energy, and has already reached that goal in the US and 23 other countries. Apple plans to invest $10 billion in U.S. data centers over the next five years, including $4.5 billion this year and next. 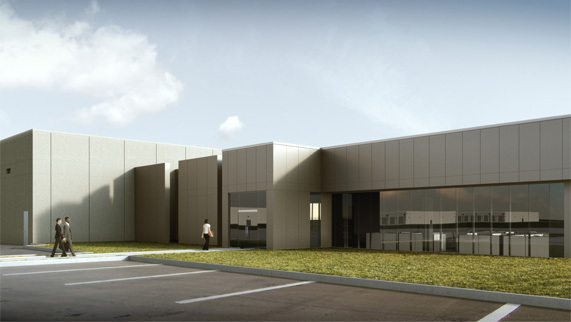 Apple’s data centers in North Carolina, Arizona and Nevada are currently being expanded. Apple added 6,000 jobs to its American workforce in 2018 and now employs 90,000 people in all 50 states. Apple announced in January that the company is on track to create 20,000 jobs in the U.S. by 2023. 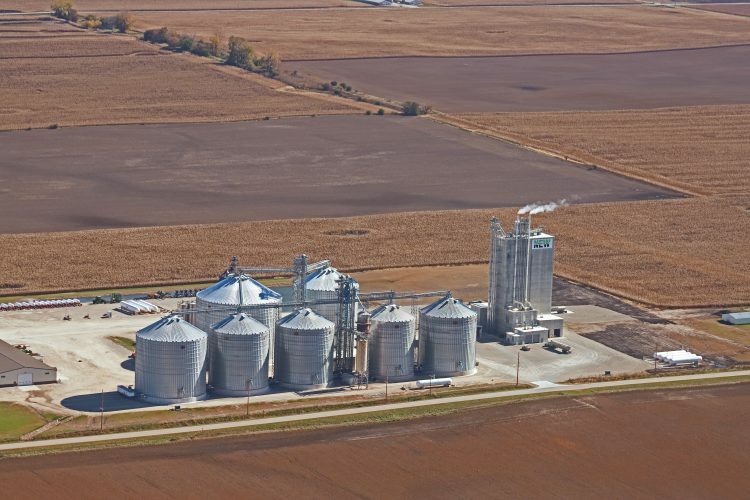 “Those things will help the state of Iowa and will probably in the longer-term, help in the next round of investment and economic benefits in rural Iowa,” said Boorman. Wind energy has been a driving industry in Iowa since 2000, Boorman said. “When we look back in 50 years, this is going to be the time where (historians say) we really started to invest in renewables,” he said. “(In 1983), (then) Gov. Branstad (R-Iowa) passed the Renewable Portfolio Standard that required the state’s major utilities to own or contract 105 megawatts of renewable energy. It was a kickstart to the state of Iowa and actually put us in the leadership position,” Boorman said. IWEA information said Iowa met the requirement in 1999 and has significantly exceeded the requirement since then. He added that Iowa is number one in the nation in regard to the percentage of power generated, at nearly 40 percent. Currently, Iowa generates enough wind energy to power the equivalent of more than 1.9 million average U.S. households. “Though we are not the windiest state, Iowa has good wind and our leadership has seen that investing in wind energy is good for the rural economy because it brings in development, tax roll monies and good-paying jobs,” Boorman said. He added that direct one full-time job is created for every 10 wind turbines in local communities, along with other supporting jobs as well. The latest figures show that in 2017, 7000-8,000 direct full time and indirect supporting jobs were created. Boorman said the industry faces opposition now and then, but he said he believes it revolves around internet information that is either incorrect or misleading. Boorman said in looking at the broader, longer picture, wind power will be accepted hands-down. “The new generation accepts and embraces wind power,” he said. Iowa figures show that the total capital investment in wind energy production through 2017 was $14.2 billion, and annual land lease payments came to between $20 million d $25 million (based on national and state averages). IWEA information said Iowa is also home to two major blade manufacturers–Siemens and TPI Composites. More than 500 manufacturing facilities produce projects for the wind industry that range from blades to towers, turbine nacelle assembly facilities to raw component suppliers–including fiberglass and steel. There are 10 active manufacturing facilities in Iowa and 107 projects online, and of those projects, 53 are above 10 megawatts. There are 2,582 megawatts of wind capacity under construction, and 1,802 megawatts of wind capacity in advanced development stages. IWEA information said environmental impacts of wind generation are positive, creating no emissions and using no water in the process. Boorman said occasionally, people will say wind turbines are detrimental to human health in part, because of the noise they make. But he said science finds little evidence to support that theory. “Wind turbines produce sound pressure, but if the frequency is at or below the threshold of human perception, and the sound pressure level is low at area residences, there is little or no exposure to cause human health problems,” said Kerri Johannsen, energy program director with the Iowa Environmental Council, adding that people can become ‘annoyed’ at the noise they make. For more information on wind energy production in Iowa, go to the American Wind Energy Association at www.awea.org, or the Iowa Wind Energy Association’s website, www.iowawindenergy.org.